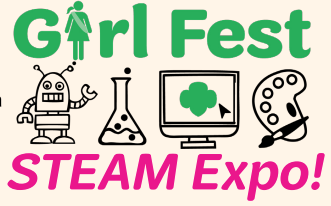 November 2-3, 2018, hundreds of Girl Scouts will be engaged in a Girl Scouts – Diamonds Signature Event ~ Girl Fest STEAM Expo ~ in collaboration with the STEM Education Center on the campus of UA Little Rock. Friday night ~ starts with a sleep-over in Dickinson Hall with a cool Science of Magic show by scientist David Westbrook. Saturday offers girls dozens of fun STEAM booths, several workshop sessions, and more cool science shows by the Museum of Discovery! Booths and workshops will be held in ETAS and EIT. For questions about registration, contact Sarah Hyndman at shyndman@girlscoutsdiamonds.org or to register, visit girlscoutsdiamonds.org on the web.